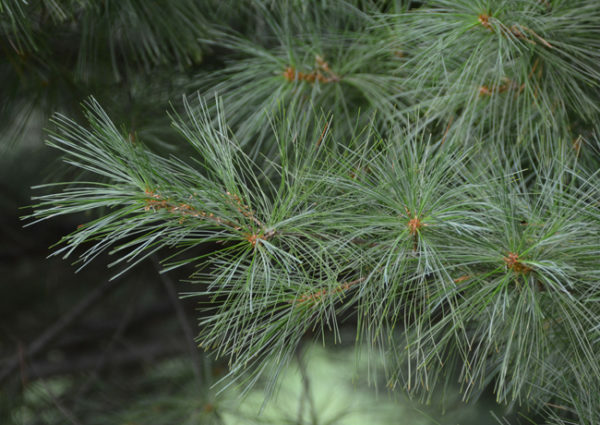 The Weymouth Pine has long, bluish green needles usually in groups of five. They are soft to the touch and the cones are long and narrow, hanging from the stems. They broaden as they ripen and open out to release the winged seeds. The bark is smooth and dark grey becomes furrowed on mature trees. This one is 3-4m tall and so impressively mature at this stage. Tags: evergreen trees, mature trees, pines, Pinus strobus.